(and you can follow links from within that book to download and then listen to my guided audio instructions too). When life’s hassles and problems keep piling up, it can be really easy to feel overwhelmed. 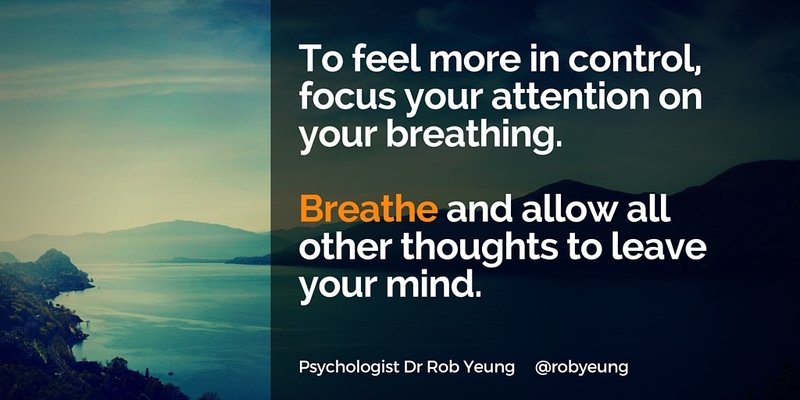 Here are three quick tips for taking the edge off of how you’re feeling and to feel more centred. Want to feel calm and do the right thing? In my coaching work, I often help people who wish they could feel less panicky, less anxious and more confident. Want to feel more confident in only 10 seconds? What gets you feeling nervous? Perhaps it’s having to give an important presentation at work or going for a job interview. Maybe it’s the thought of going on a date or arriving at a party where you don’t know anyone. A study by Katharina Kircanski and her colleagues at the University of California, Los Angeles suggests a really quick method of keeping our feelings in check. Want better control over your emotions? Do you ever say things like ‘I’m so nervous’ or ‘It really annoys me when…’? It’s natural to feel emotions like anxiousness or annoyance. Many people feel anxious before a big event – say giving an important presentation at work or going on a big date. Many people feel irritated when things go wrong – from delays on the daily commute to difficult colleagues or our computers going wrong. I’ve been coaching two clients recently who are both feeling emotionally bruised and battered. They’re facing very different issues but I recommended the same technique to both with great results.